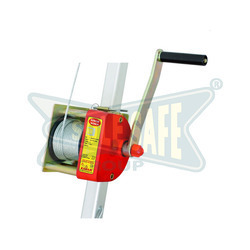 Leading Exporter of karam winch, karam guiding type fall arrester, karam retractable block polymer casing with webbing, karam retractable webbing block, karam cantilever k- pod and karam double anchorage pulley from Mumbai. 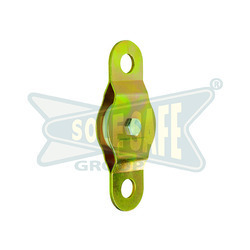 • To be used for raising or lowering of personnel or material into confined spaces. • Equipped with bolting fixture for robust fitting on to the tripod PN 800. • Lifting Load Capacity : 135 Kgs. • conforms to EN 1496:2006 Class A. 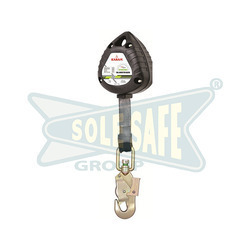 • To be used with a Retractable Fall Arrester when deployed for raising or lowering a person. • Can also be fitted to KARAM K-Pod PN 900. • The Anchorage line is provided in lengths of 5mtrs to 100mtrs, having loop at one end and a stop knot at the other end. • Comes in 25 mm width webbing. • Provided with PN 123 connector with load indicator at attachment end. • KARAM introduces the new K-Pod which provides a safe and sure system for easy access to confined spaces. The K-Pod is an ideal choice to provide overhead anchorage which can be mounted on different bases and it conforms to EN 795 Class B. 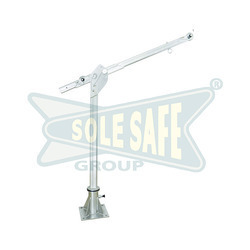 • The K-Pod is made of highly corrosion resistant Stainless Steel, and can swivel a complete 360 degrees on its mounted base, hence providing a versatile reach and access. use of the K-Pod even in those areas where the roof height is small. The K-Pod can be easily mounted on the floor as well as on the wall through special floor and wall mounting brackets which are made available as per need. The K-Pod can also be mounted on the floor of heavy vehicles, hence making it extremely versatile in use. 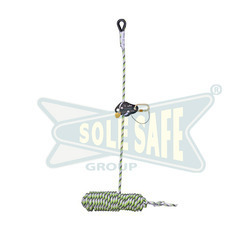 • Ideal for descent on a single rope. • It is equipped with a unique Self Braking System which initiates the brake as soon as the handle is released, or clasped too tightly. 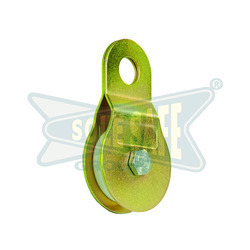 • Works on 10-11 mm diameter Kernmantle rope. • The locking pin on the side of the casing at the base of the handle allows this dual system to work in independent Fall Arrest & Winch modes. • Casing made up of light weight and sturdy Aluminium Alloy.